What would you do with an extra $1400 each year? Would you sleep in a hammock on the beaches of Bora Bora? Or would you snorkel the Great Barrier Reef? By simply carpooling with 2 other people, you could save over $1400 on gas! Cure loneliness! According to the US Department of Transportation, over 75% of all drivers travel alone. Cut down on carbon dioxide emissions. 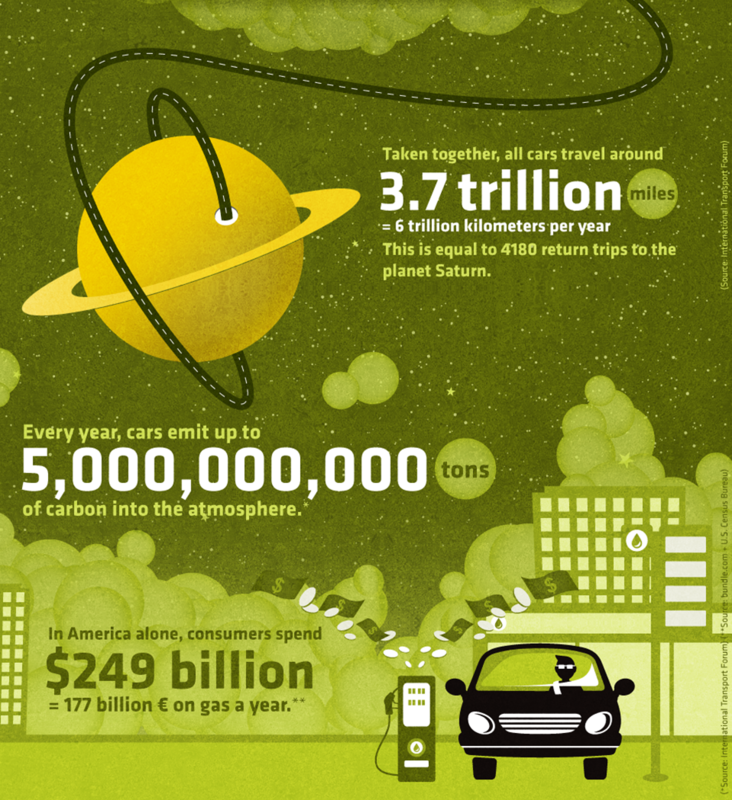 The average car will emit over 12,000 pounds of CO2 each year. 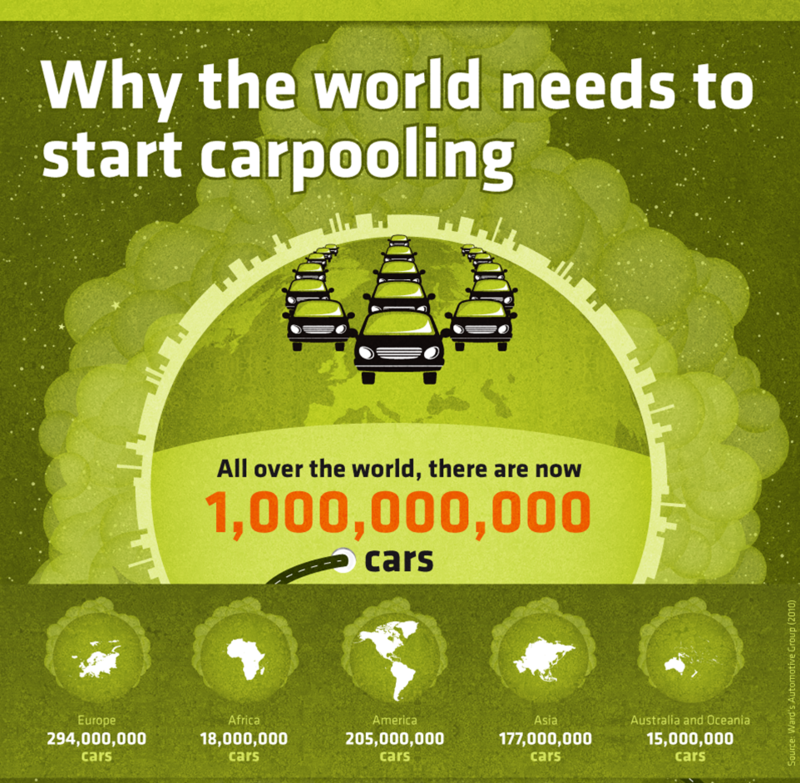 By carpooling, you can cut down on the number of cars being used, and the number of car-farts. Do this. No way to do it with less than 3 people. Want to check our math? Assume the average person drives 10,000 miles per year, has a car that gets 25 miles per gallon, and the average cost of gas is $3.50 per gallon. That means, each year, the average driver uses 400 gallons of gas, with a total cost of $1400! 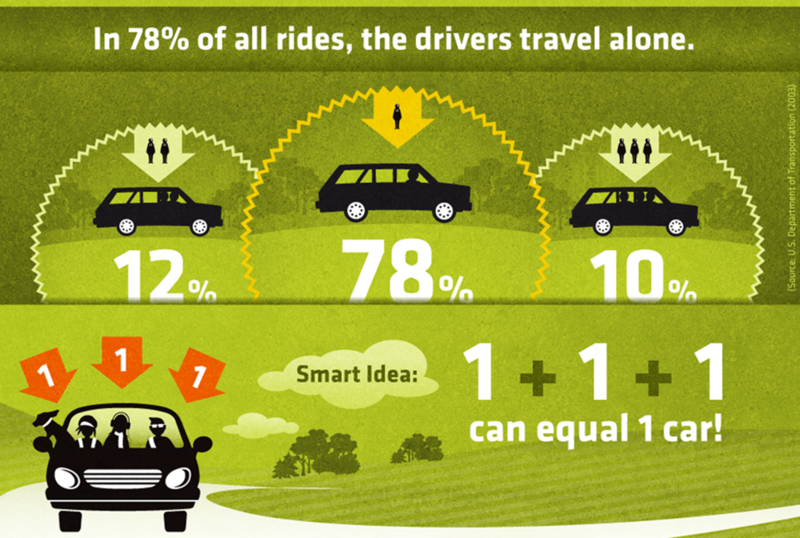 How much could you save by carpooling?